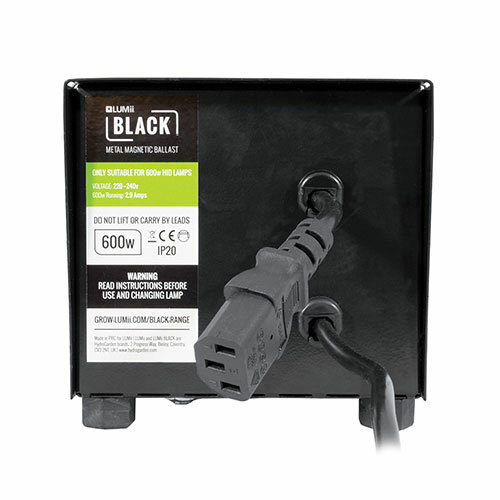 The LUMii BLACK Metal Magnetic Ballast is supplied with a flying IEC lead which enables you to add any reflector fitted with a universal IEC socket. It’s simple to start growing, just add a reflector and a lamp with the same wattage as the ballast. 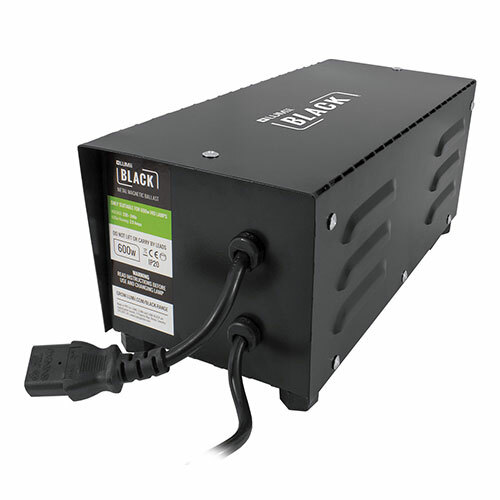 The LUMii BLACK Metal-Cased Magnetic ballast can be used with any 600w HID lamp – however we recommend using a LUMii BLACK 600w HPS lamp to get the best results.